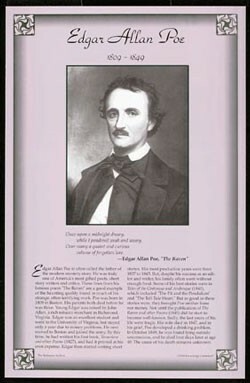 This unique educational poster features a photo of the great 19th century American writer Edgar Allan Poe, as well as a quote from "The Raven," and concise biographical text summarizing his life and career. 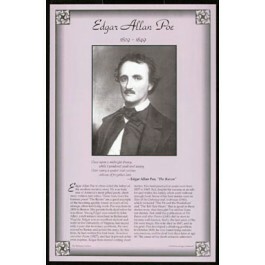 Edgar Allan Poet is often called the father of the modern mystery story. His haunting poems and short stories remain some of the most well-read works of literature today. This poster is a great way to introduce students to this legendary American writer.